The Monarch butterfly travels thousands of miles and weathers countless storms–but it remains beautiful. I wandered the halls of the huge hospital, looking for a chapel. For the past ten hours Pedro had been convulsing and incoherent. After the first episode (less than 24 hours after his arrival at UCSF via air ambulance), the doctors had moved him to a critical care unit. I had functioned on so little sleep for so long that my every action seemed disembodied. I couldn’t seem to grasp the simplest directions (such as how to push an elevator button and get off on the correct floor), yet I refused to ask for help—to ask for a chapel would smack of a helpless, defeated attitude. But I needed a chapel. I finally saw a small sign that led to a miniscule chapel that turned out to be devoid of people. Perfect. I clutched a notebook in my lap and stared blankly at my record of what had transpired in the past 12 hours. I had sat in the critical care unit and faithfully recorded Pedro’s every move and snippets of the words he spoke. He babbled about students he’d taught three years ago. He moaned incoherent words while he sat up and swung his legs over the hospital bed. “Is THIS better?” I asked God. “We traveled so far. YOU arranged for the miracle that brought us here.” I allowed a few self-pitying tears to slip out of my eyes. I sank into the seat and let the tears flow freely. I felt battered, broken and unable to fight any longer. I looked down at the notebook again, and realized that my efforts would do nothing. Me keeping track of Pedro’s every movement through the long hours of the night would not change the outcome of his condition—it would not heal his cancer or give the doctors insight into how to treat it. Any healing that took place would happen because God ordained it. 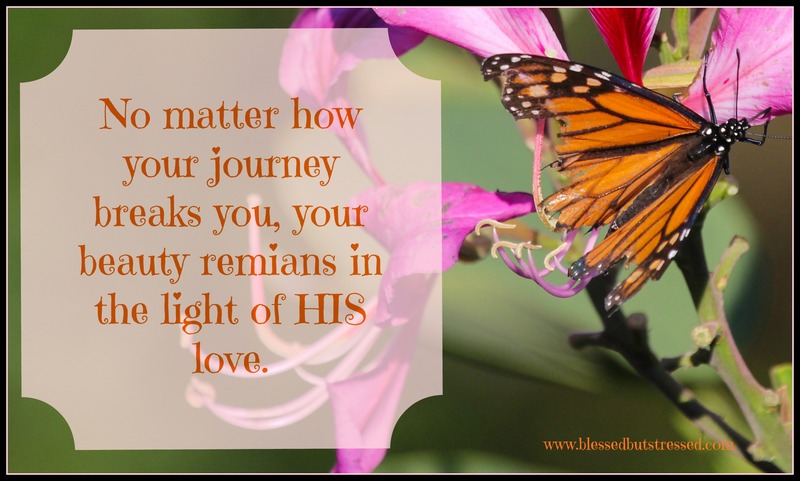 I would have to shed my obsession that MY efforts kept him alive in between God’s miracles. The journey might take a long time. I might come out the other end feeling even more battered and broken. But I knew now that broken IS beautiful—as long as the broken pieces and tattered thoughts rested in the light of his love. I returned to the hospital room to wait for the next part of my journey towards beautiful. Where has your journey towards beautiful led you? 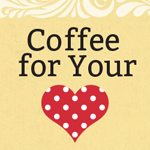 I’m joining Holley Gerth and other bloggers for coffee this morning—coffee for your heart. Join us?